This year there was one game design topic that took up most of the space in my notebook. The notes come from thinking both about my own work, such as Brave Hand and Hero Generations, and from analyzing some of the many great indie games I played. It’s an idea that is considered taboo and “bad design.” That topic is gameplay setbacks. A gameplay setback is a game situation where the player loses something they had, but instead of resetting their state, the game asks them to figure out how to continue on anyway, without getting back what they lost. Gameplay setbacks can come in a lot forms. For example, they can be tangible things like losing an object, or an ability, or a character. Or, less tangible things like losing part of your progress, or losing control, or even just losing the opportunity to get something you thought you needed. I’m sure you can think of all the reasons this would be considered a terrible design idea. We think of setbacks as causing negative emotions, like frustration and anger. We associate setbacks with having to replay challenges we’ve already solved, requiring a lot of grinding and backtracking. Setbacks adds friction to the experience, and asks players to make extra effort they may not want to make. Poor retention. Bad reviews. The list goes on. However! The reason I’m so interested in finding a use for setbacks in my games is because I know that, sometimes, under the right conditions, overcoming a setback leads to very meaningful, and memorable moments of growth. I’ve started calling games that have this property Impactful Games. Unfortunately, impactful games are fairly rare. So I’d like to share some of the notes I’ve accumulated on the structures I think are at work when gameplay setbacks create impactful moments, along with some mitigations for those traditional design challenges that come with the territory. I find it useful to explore the extremes of an idea first, so naturally my first note comes from playing Getting Over It With Bennett Foddy. It’s a brilliant and maddening game created almost as an academic study of what happens when you set the player back early, often, and without apology. You play a character trapped in a pot, with only a Yosemite Hammer as his means of transportation. You are tasked with climbing a mountain, but you can fall all the way back to the start, with no checkpoints to save you. The purposefully uncertain controls make it so that the player has very little room for error, and the structure of the mountain is such that there are very few safety nets to prevent you from falling all the way back to the start. This was all very intentional, and Bennett has said so in interviews, and in the in-game voiceover monologue. In short, by allowing the player the possibility of experiencing the complete range of extreme failure and success, the game is given a feeling of having real stakes. The triumphs feel real and not a manipulation to make you feel good. The cost of that of course is the extreme disappointment and anger players have the potential to feel when they fall all the way back to the start. Note #1: Impact requires real stakes, created by allowing for both tragedies as well as triumphs. 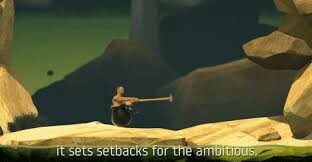 Now as unique and standout as Getting Over It is, it is equally standout in demonstrating why gameplay setbacks are typically avoided. When you fall back to the base of the mountain, nothing has changed. The mountain layout is the same, and you’ll need to use the same tools, to overcome the same climbing challenge. Despite Bennett’s intent, you’ve still essentially been reset, albeit with some new knowledge of what to avoid next time. This sort of resetting and repetition isn’t really true to the human experience, or a part of the really impactful moments in our lives. We don’t get to rewind time and retry. The world around us doesn’t remain the same. We’re not set back in time to get another shot at avoiding our loss and rewriting history. Our experience is more one of dusting yourself off, right where you are, and choosing to continue on to the next moment, with less than you had before, down a different path you hadn’t thought to try. A game that takes this into account, and that was more impactful for me was Darkest Dungeon by Red Hook Studios. 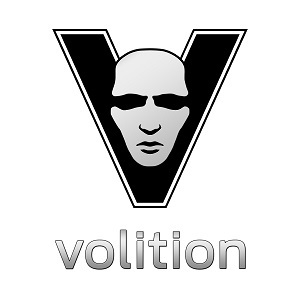 It’s a challenging gothic roguelike turn-based RPG about the psychological stresses of adventuring. It asks you to take your ever changing party of characters through an infested set of dungeons. The game lets your characters permanently die, and regularly inflicts them, mid-mission, with personality quirks, traits, injuries, and afflictions that make you constantly reevaluate your approach. 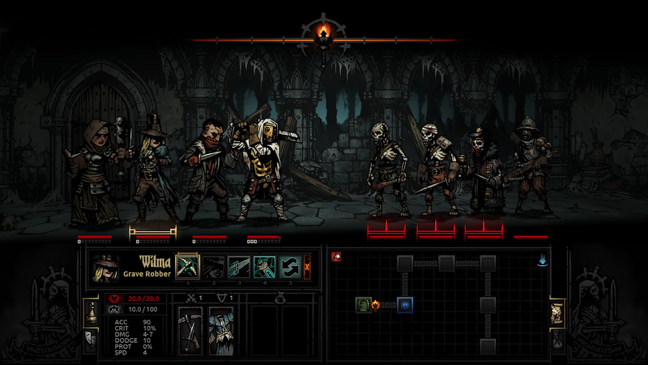 One of the key design decisions that makes Darkest Dungeon impactful in a different way than Getting Over It, was the decision to make most of the game procedural and non-linear. Even after one the game’s infamous full party deaths, you aren’t defeated. You might need to take a break, or repair your keyboard…but you’ll likely come back. Because you can start with new characters, with different quirks and classes, in completely different dungeon layouts and scenarios. The loss is more of a forced moment of reflection, that you need as a wakeup call to reconfigure your party, so they are equipped to deal with a broader set of situations. To put that more abstractly, Darkest Dungeon prioritizes growing your understanding of the game’s concept. the game only asks that you explore and ultimately understand the full possibility space. But it let’s you explore the space in the order that works best for you. An analogy that comes to mind is that Getting Over It’s design is like the world’s hardest standardized test, while Darkest Dungeon is structured more like a research project. It doesn’t care if you memorize a specific dungeon layout, or the optimal steps to get past a boss. It doescare that you thoughtfully prepare and use the tools you have to survive and adapt to its stressful situations. It’s creating a conceptual mental model you can use to deal with ANY situation, not just a specific one. Note #2: Impactful games are non-static and non-uniform in how they presents challenges. Note #3: An impactful game prioritizes broader understanding of its concepts. After sorting out these general structures that seem to be important to creating impact, I started making a lot of notes on why some games seem to be more impactful than others. The conclusion I came to seemed to point towards how much the game makes the player grow beyond their current understanding. There are a lot of classic games and casual mobile games that incorporate the properties I’ve talked about. However, they usually explore basic concepts, or the same set of conceptual ideas already explored in other games. These games are low impact, because they may only subtly add to the understanding or mental model of the player. On the other end of the spectrum, there are lots of games that have very non-obvious core concepts, but present it so abstractly that players can’t make the connection to how it matters outside of the game. So on top of everything else, to create impact we need to make players grow. To help players grow, we as designers need to make games about new, less obvious concepts, but also have enough grounding familiarity so that players know what to do with those concepts once they are learned. Note #4: The magnitude of a game’s impact is influenced by how non-obvious and grounded the game’s concept is. These notes so far form a nice framework, but it in practice it is still a challenging design problem to balance so that players stay engaged after a setback. So my remaining notes are a few ideas on how we can mitigate against players dropping out. The first mitigation is to try setting expectations up front and early. A lot of frustration comes when the player is surprised when they get setback. 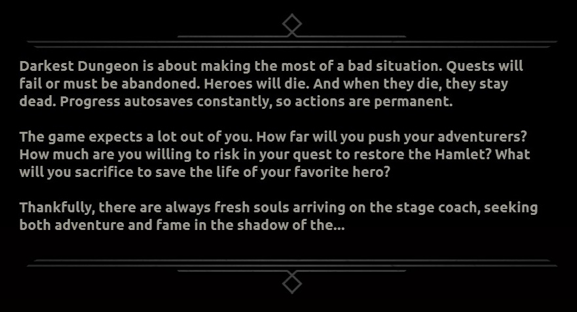 Darkest Dungeon has a crude but effective way of doing it — a big text box that says in so many words “hey this is going to be bad, don’t say we didn’t tell you so”. There are likely many more elegant ways to set expectations, but this definitely helps. Another source of player aversion to being setback is knowing they’ll need to retry both the thinking aspect of the game, and the physical execution to demonstrate their understanding. So as a mitigation, don’t require both. If we have to pick only one of the physical or thinking pieces, I lean towards thinking. Reduce the need for the player to execute difficult or unintuitive controls to progress. Reigns and Her Story, are really good examples of games that have gameplay setbacks, but remove control execution from the equation entirely. 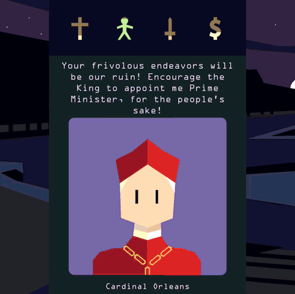 In Reigns, your King or Queen may die, but you can continue as a new heir simply by swiping left and right to find a different path. 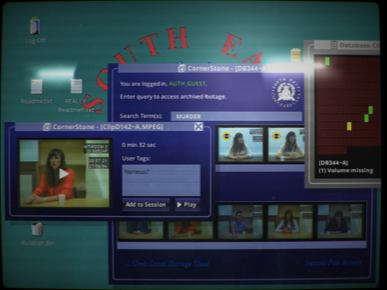 In Her Story, you use a computer database to search for video clips that might lead to solving a narrative mystery. Your searches will lead to dead ends and red herrings, setting you back in your search. But it is trivial to continue typing search terms and to seek a new path forward. The last mitigation I have is to create systems for helping the player bounce back. Part of what works about recovering from a gameplay setback is that you end up exploring paths you either ignored before, or hadn’t noticed. As a designer you have to do the work to make sure players see hope that a path forward still exists. Games are already pretty good at this. Positive feedback loops, or “catch-up mechanics” that kick in when the player gets a little behind, are used pretty broadly. For longer term motivation, I think the player also needs to feel they have a purpose they care about. When the player is confronted with a setback, they’ll ask themselves “why do I care?” And you have to have answered that question in the first few moments, if you want them to carry on when they hit your setback. There is one last note that points to why I think it’s worth all of this work to integrate setbacks into our games. Note #8: Impactful games make the player, not the game, do the work. And this is ultimately the value that a gameplay setback adds: by owning the progression made after a loss, the player owns the lesson, and are changed. And yes that also means the player must put in more effort, but I think it’s worth it. The setback is a necessary part of helping the player find a path they never thought to explore, and appreciate that they have a greater understanding. By going through the experience themselves, it becomes a personal lesson that is hard to argue isn’t true. I’ve often heard people describe an impactful moment from their life as having been trying, but that “it changed their life forever.” I can think back to many of my own meaningful and memorable moments in life, and know that they would be less impactful had I not had to overcome the setbacks that preceded them. So perhaps our next games can give our players an experience they won’t forget too. Games that challenge their assumptions, set them back to consider something unfamiliar, but ultimately made them curious enough to grow, into better, stronger, and more equipped people. This article is based on a talk I gave at the 2018 Game Developers Conference in San Francisco. My slides and other info about the session can be found here.